The Lobster 544 Clamshell Phone features a 262K colour screen, 1.3 megapixel camera and 64MB memory card. 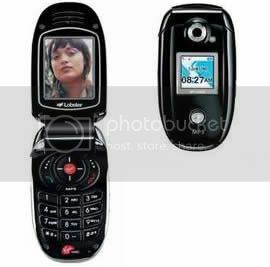 The phone provides video recording, video playback, picture messaging as well as playing games and polyphonic ringtones. Files are easily transferred to the phone without software via USB connection. The Lobster 544 Clamshell Phone is available from Virgin Mobile for the price of £69.99 on a Pay As You Go.